VICTORIA, BC – Phillips Brewing has announced details of a new limited edition release to mark its 17th anniversary. This super extra premium dry Rice IPA is interrupting your regularly scheduled programming with a full signal blast of flavor. Pouring a sunset straw colour with a finger of pillow white head, aromas of ripe grapefruit and sweet honey dew are followed with bold hop flavours. The rice imparts a drying astringent character that amplifies the brightness of the beer, revealing hints of anise and bubblegum and finishing refreshingly dry. 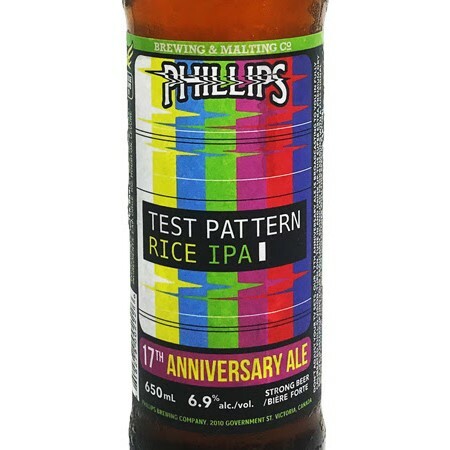 Test Pattern will be available in 650 ml bottles at Phillips and select private liquor stores in BC for a limited time.